The conference attracts over 1100 guests from more than 30 countries and regions together in Beijing to discuss the development of GEI on the theme of “GEI from China’s Initiative to Global Action”. It has been a high-level event with far-reaching effects and fruitful results. 12 major innovative technical breakthroughs and research reports, including GEI Backbone Grid Research, are released. 2018 GEI Conference bears great significance to implementing GEI Initiative and the UN 2030 Agenda for Sustainable Development, advancing world energy transition, promoting green and low-carbon development, and building a better future for mankind. Jochen Kreusel, Member of the European Commission’s Expert group on Electricity Interconnection Targets, ABB Group Vice President. 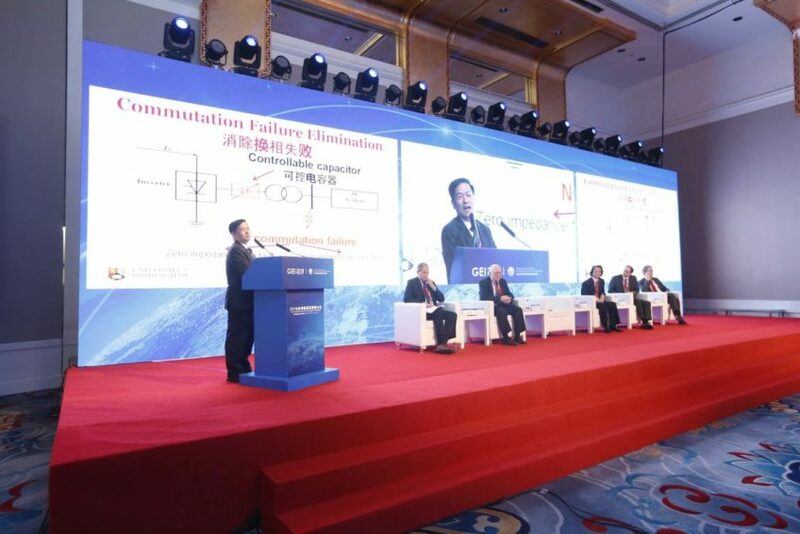 Professor Xiao-Ping Zhang’s panel presentation was entitled “Flexible LCC HVDC to Support Global Energy Interconnection” (“支撑全球能源互联网的柔性传统直流输电系统”). In comparison to the conventional LCC HVDC, the Flexible LCC HVDC can eliminate commutation failure, provide reactive power and AC voltage control, eliminate AC Filters and can be applied to UHVDC Systems. It has been concluded that the Flexible LCC HVDC is cheaper, much smaller, more reliable and flexible than the conventional LCC HVDC.